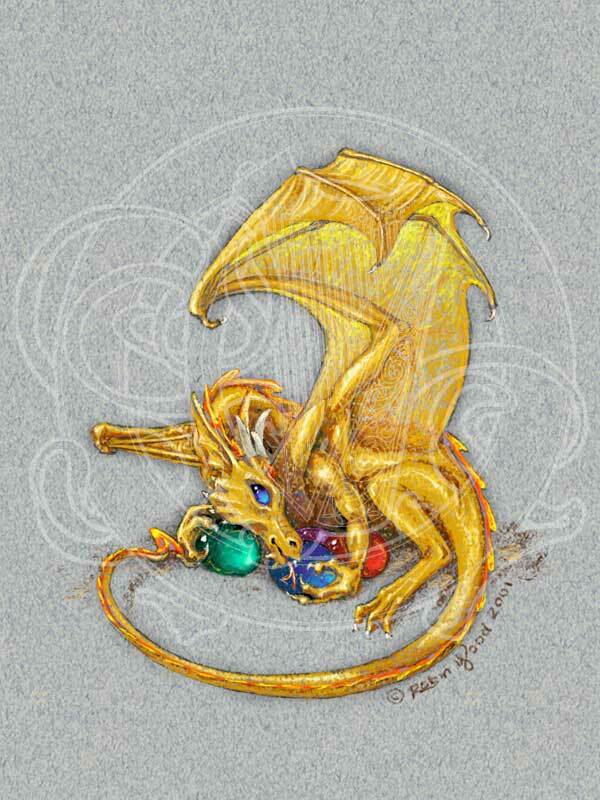 A miniature dragon, in a miniature print! 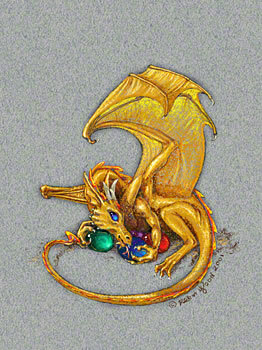 I did this one just before the Pennsic War in 2001, because I've had so many requests for a small dragon print. It was done using Corel Painter™ 6, with paper, background pattern, and brushes that I made to emulate Prismacolor pencils. It was fun to do, although it underlined the difference between actually using traditional media and using the computer (traditional media is easier, in my opinion.) But it's just meant to be a fun little piece, and I hope you enjoy it.